Ira Sills’ practice focuses on the representation of unions, particularly organizing campaigns involving immigrant workers and others. Ira also has significant experience in cases involving labor issues in the entertainment field and higher education. Ira has extensive experience with collective bargaining negotiations, arbitration and mediation, and practice before the National Labor Relations Board and the Mass. Department of Labor Relations. Ira, a partner in the firm, joined the firm in 1977. He has taught labor law courses at Northeastern University School of Law for over 25 years and is a regular speaker at continuing legal education seminars, bar associations and trainings for union representatives. Ira has been listed in The Best Lawyers in America for the past twenty years and is a former chair of the Labor Law Section of the Massachusetts Bar Association. 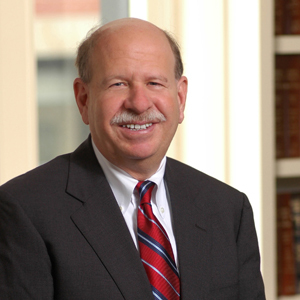 He has also been named a Massachusetts Super Lawyer and has been listed in Boston’s Best Lawyers. Ira was awarded the Labor Guild of the Archdiocese of Boston 2006 Cushing Gavin Award for “Excellence in Labor Management Relations Exemplifying Moral Integrity, Professional Competence, and Community Concern” on December 7, 2006. Ira was appointed by the Governor to and currently serves on the Advisory Committee to the Mass. Department of Labor Relations. Ira is an active triathlete, a member of the Boston Triathlon Team, and in 2013 qualified for the Ironman 70.3 (miles) World Championship Triathlon. Northeastern University Law School J.D.